Teflon Donna’s coaching philosophy is to coach based on her personal experience as a skater, but also from years as an elite competitive gymnast. She whole-heartedly believe that skaters want to "do well by their team" and that if we can start from that foundation, then we can approach critique from a positive perspective! Tef’s favorite thing about coaching roller derby is that she didn't know how to skate when she started as a player in 2004. 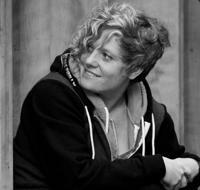 Tef believes that learning to skate while learning to play roller derby has developed her coaching style into a style sympathetic to recognizing effort and provides opportunities for personal growth. Tef knows that her roller derby career wouldn't have been what it is, if she hadn't have fellow teammates and coaches that saw potential and were willing to take a chance on her. She loves to recognize the potential in others and to focus her efforts on supporting their roller derby journey. Rojo Grande (Lisa Ponssa) has been a part of Tampa Roller Derby for the last ten years. She is currently one of the Head Coaches of Tampa Bay Junior Derby as well as the WFTDA ranked Tampa Tantrums and skates for the Tampa Bruise Crew, Tampa’s B level travel team, and the Cigar City Mafia, a Tampa home team. Rojo has been a long time member of Tampa Roller Derby‘s leadership and has worked diligently for the growth of the sport. She is inspired daily by the athleticism, camaraderie and drive of Tampa’s Junior and Adult skaters. Rojo was also one of the coaches for the Southeast Thunder, one of the first Junior Roller Derby Olympic teams in 2016. Scott has been involved with junior derby since 2011 when he founded the Hoosier Bruisers in order to give his daughter a place to play derby. Since that time he immersed himself in the sport. He soon joined JRDA as the Great Lakes Regional Coordinator to help other leagues and open lines of communication. 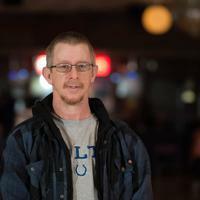 Scott is currently an assistant coach for the Fort Wayne Derby Brats and has worked this year as the head coach of A Town Roller Derby in Anderson, IN. He can also be seen helping on the bench staff with Fort Wayne Derby Girls and Bone City Rollers. When he is not coaching roller derby he likes to attend games whenever possible to keep up with the latest strategies. When Scott is not working on roller derby he works as a Reimbursement Specialist for R1RCM where he reviews hospital claims for correct coding and compliance before sending them to the insurance company for payment. Scott looks forward to again working with the member leagues in his region to open lines of communication and help bring in new leagues while at the same time helping established leagues grow.